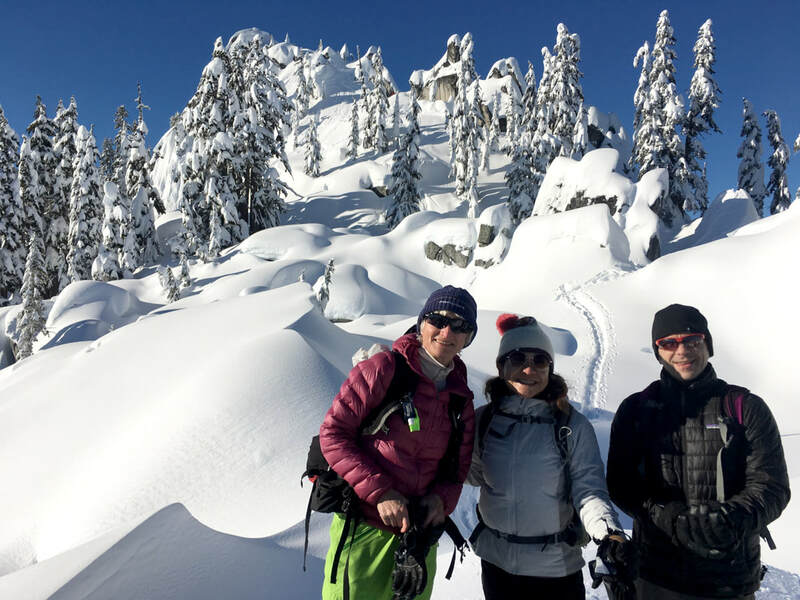 Sunshine, deep blue skies, snow covered trees, and frozen alpine lakes surrounded by majestic mountain peaks were our companions on this mid-week snowshoeing adventure at Snoqualmie Pass, WA. "What we get from this adventure is just sheer joy. And joy is, after all, the end of life. We do not live to eat and make money. We eat and make money to be able to live. 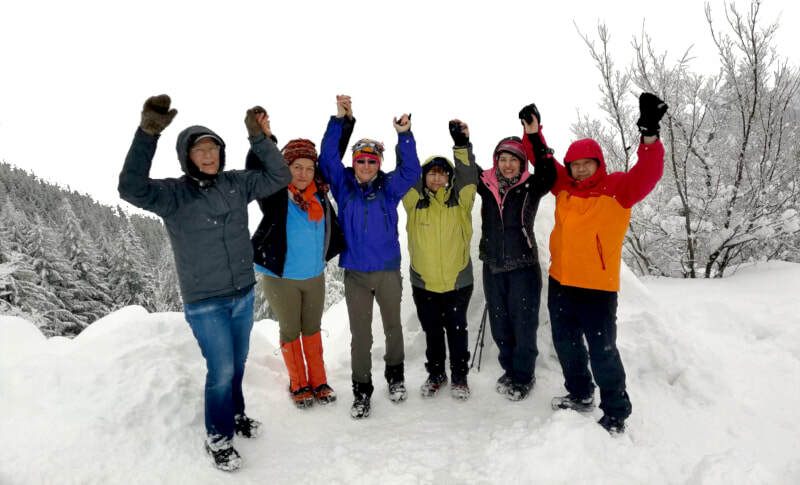 Joy was exactly what we experienced snowshoeing along the deep snow covered Commonwealth Basin Trail earlier this month. 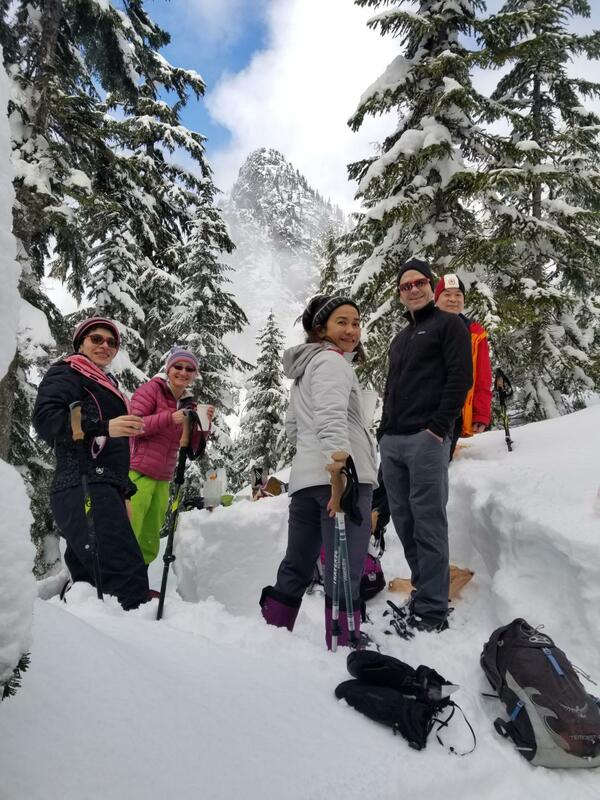 We picked this destination after careful consideration of the avalanche danger and decision to stay away from the steep slopes surrounding the area. "Nature has no mercy at all. Nature says, 'I'm going to snow. If you have on a bikini and no snowshoes, that's tough. I am going to snow anyway.'" New Year's Eve served us a real feast for the senses. After several days of snow showers we got a perfect, sunny day to say "Goodbye" to 2018. Despite of the heartwarming rays, it was still too cold for the bikinis, but turned out great for the snowshoes. "Rivers are roads which move, and which carry us whither we decide to go." Few of us would disagree with the statement that the beauty of the mountains is addicting and soothing to our hearts and souls. This North Cascades' peak named after the local Sauk-Suiattle tribe is no exception when it comes to deeply touching the core of our being. Water - Nature's Most Potent 'Drug'? For millennia. the various healing effects of water have been known throughout the world and its many cultures. Water in a balanced combination with salts/electrolytes is a conductor of electricity which is required by every cell of the body to function properly. "Kindness is like snow - It beautifies everything it covers." 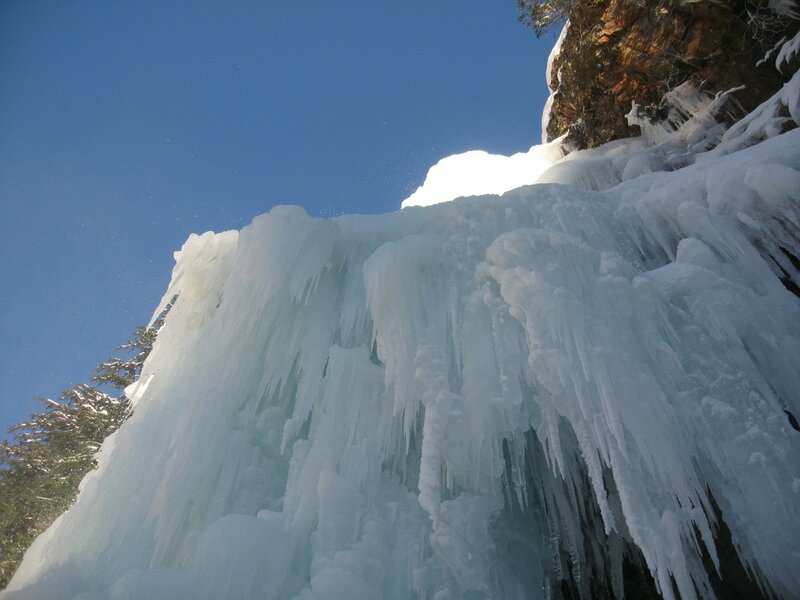 Fantastic scenery, waterfalls, creeks, rocky switchbacks, snow fields, steep cliffs, wildflowers, rolling clouds, ice and snow covered lake = Snow Lake Adventure. Are We Having a Good Time? "Nature loves courage. You make the commitment and nature will respond to that commitment by removing impossible obstacles. 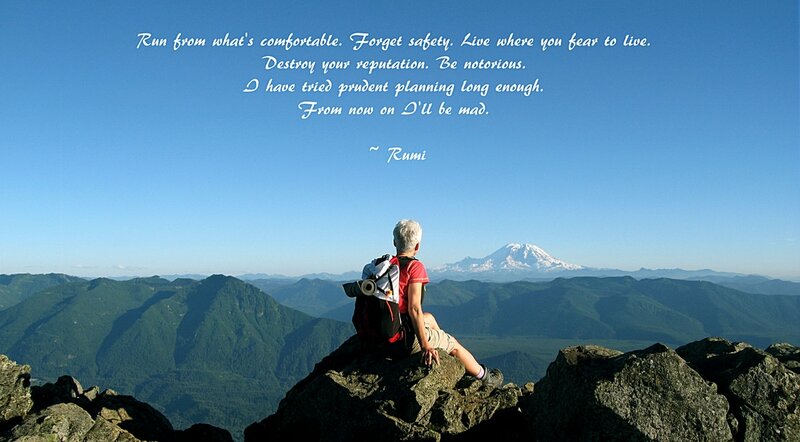 Dream the impossible dream and the world will not grind you under, it will lift you up. This is the trick. This is what all these teachers and philosophers who really counted, who really touched the alchemical gold, this is what they understood. This is the shamanic dance in the waterfall. This is how magic is done. By hurling yourself into the abyss and discovering it's a feather bed." October happens to be one of the few months of the year when nature undergoes a significant change and serves a colorful feast for the eyes. One of its 'treats' is the larch tree, a rare conifer that turns golden and loses its needles in the Fall. 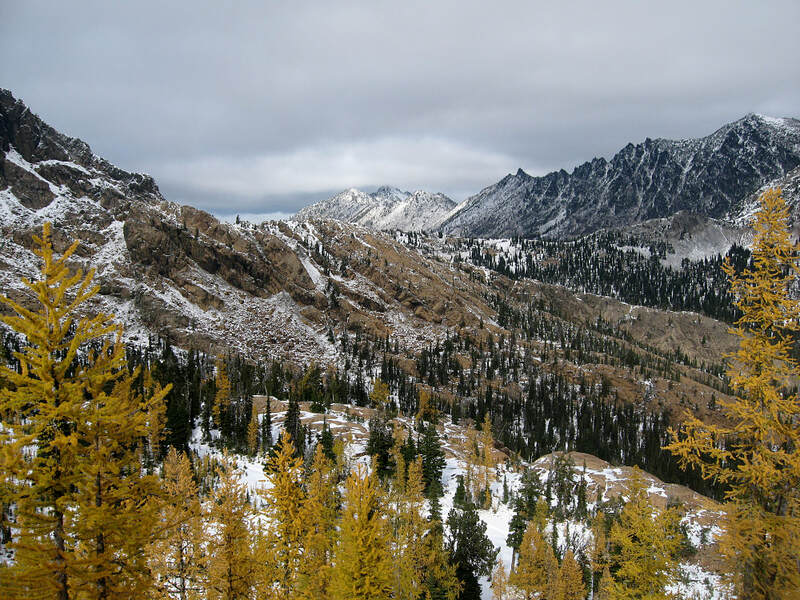 Here, in the great PNW, the larches 'hang' high in the mountains and it takes a real hike to see them in their golden glory. 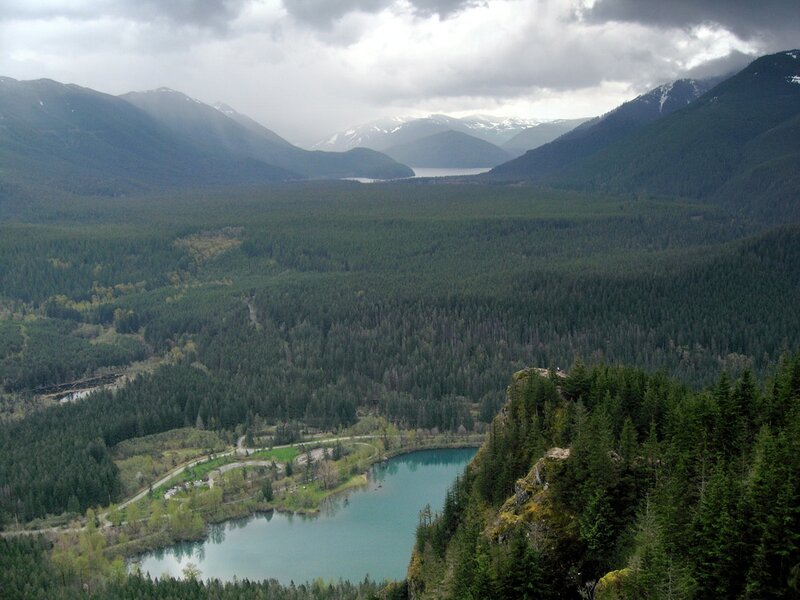 This week, we made multiple visits to Rattlesnake Lake, a local gem at the foot of the Rattlesnake Ridge (also known as Rattlesnake Ledge or Rattlesnake Mountain) located south of North Bend, Washington. 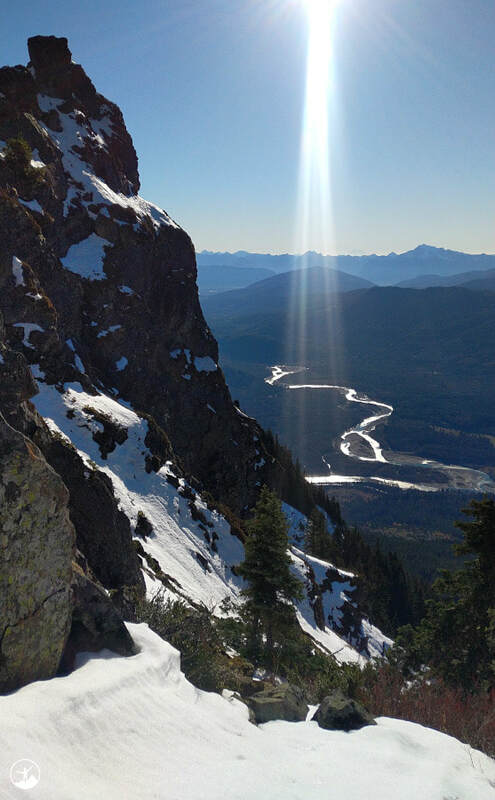 According to the Snoqualmie People's story of Prometheus, Mt Si is the dead body of Snoqualm, the Moon. 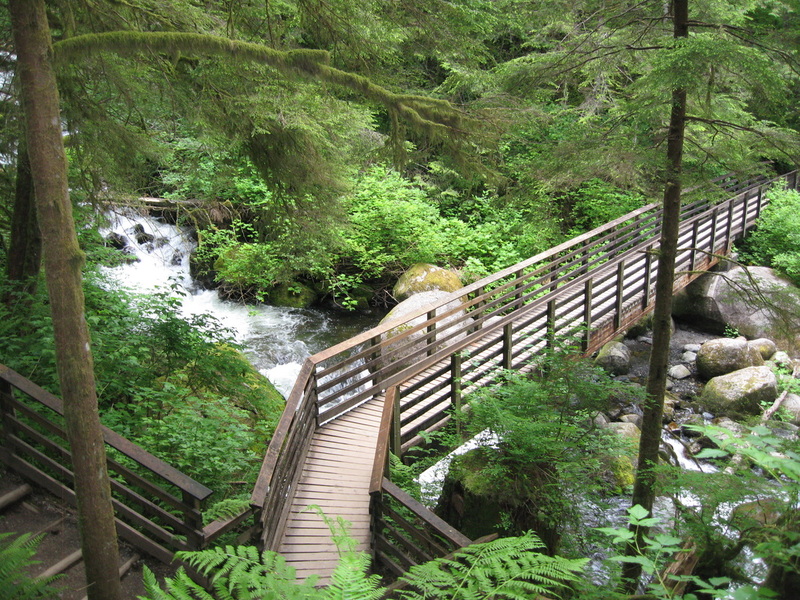 The legend holds that "Snoqualm had ordered that a rope of cedar bark be stretched between the earth and the sky. But Fox and Blue Jay went up the rope and stole the sun from Snoqualm. 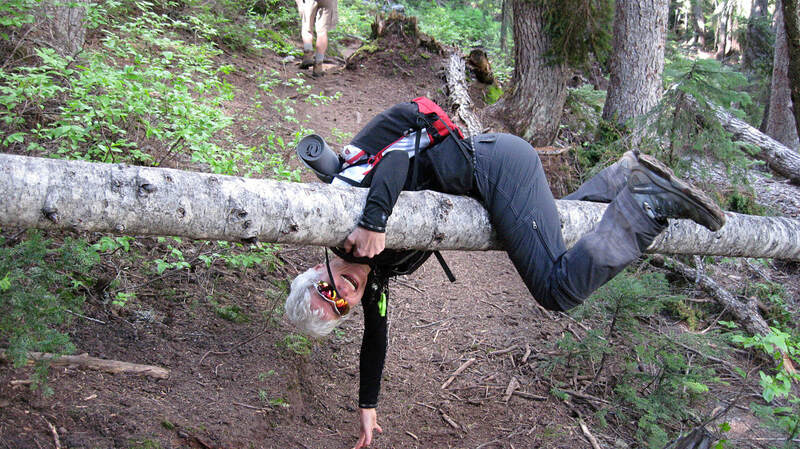 Snoqualm chased them down the cedar rope, but it broke and he fell to his death. Fox then let the sun free in the sky and gave fire to the people. 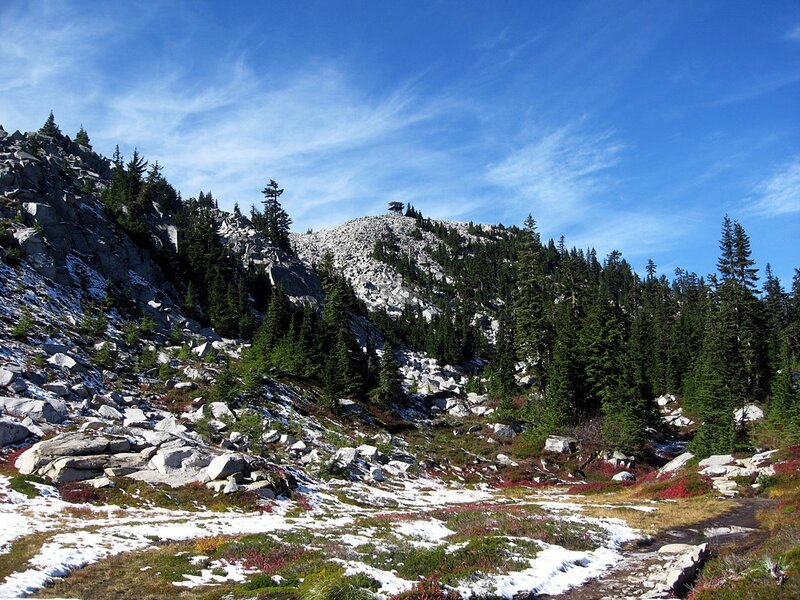 A face like Snoqualm's is visible on the rocks near the summit." 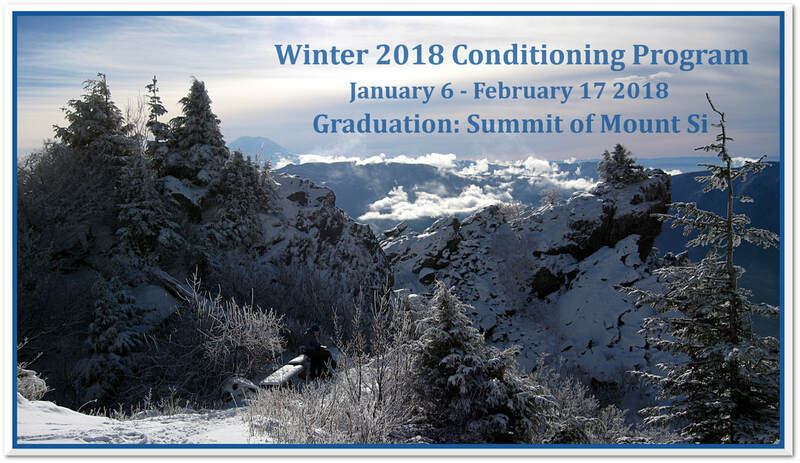 Located near North Bend and along the I-90 corridor, Granite Mountain has become one of my favorite local conditioning hikes. 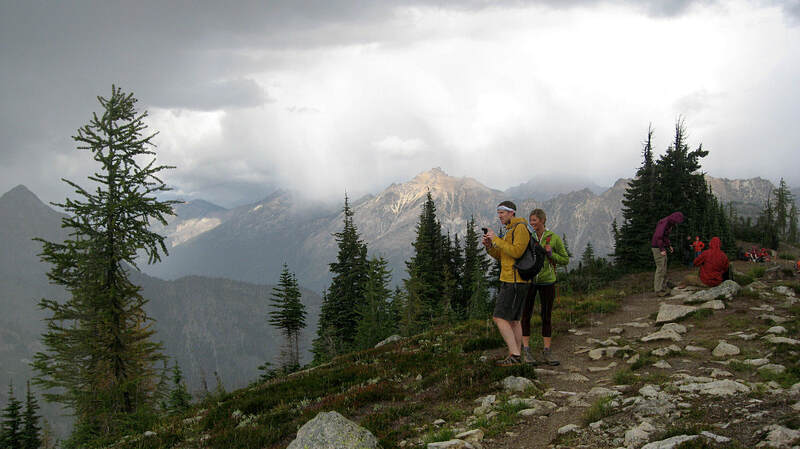 The trail's 3800 ft elevation gain in just over 4 miles makes it a great training hike for higher peaks such as Mt Baker, Mt Adams, or Mt Rainier. 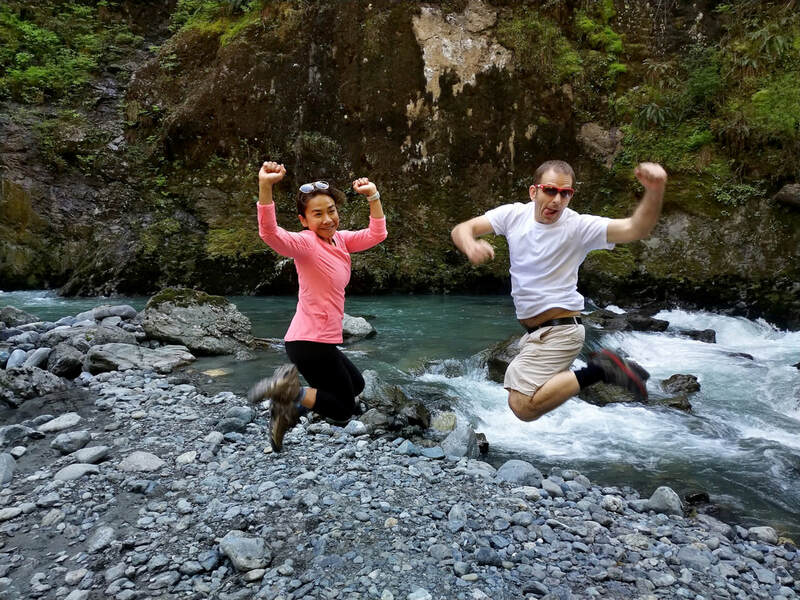 In early January, the weather was so beautiful, that we decided to spend an afternoon in Nature and headed to Franklin Falls, located on the South Fork of the Snoqualmie River near Snoqualmie Pass. 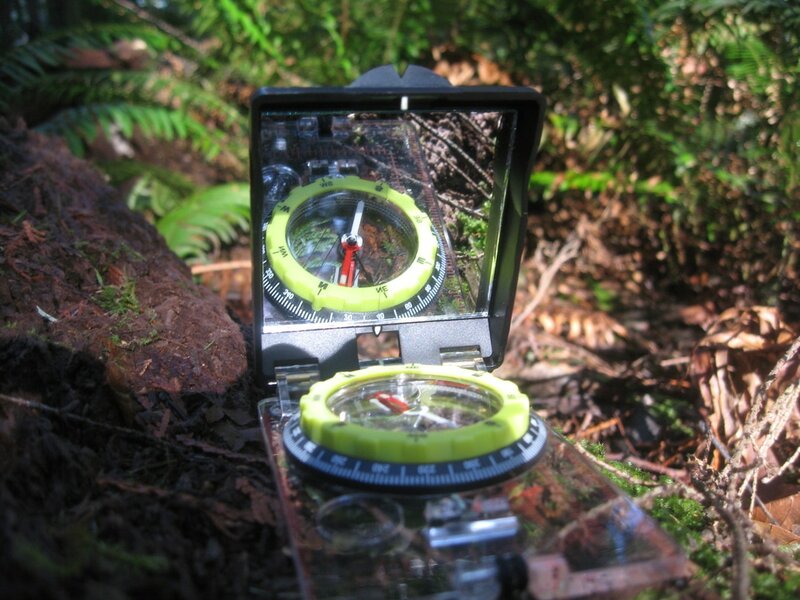 Earlier this month, I successfully completed the Wilderness Navigation Course offered by the Seattle Mountaineers. The course combined an online class with a weekend field trip. 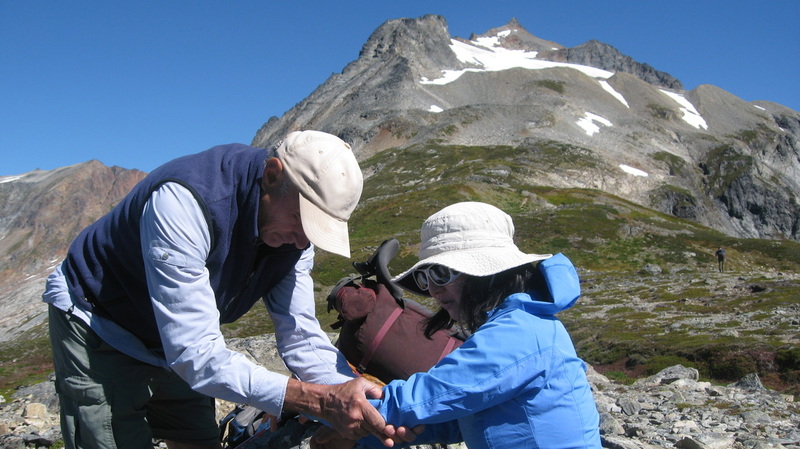 When I left home on a clear, early morning in mid-September, little did I know that I would end up meeting Mary, a wonderful young lover of nature on a backpacking adventure, and that both of us would receive a healing gift from a 'trail angel', called Paul, right at the foot of the magnificent Sahale Mountain. What an unexpected treat it was indeed! 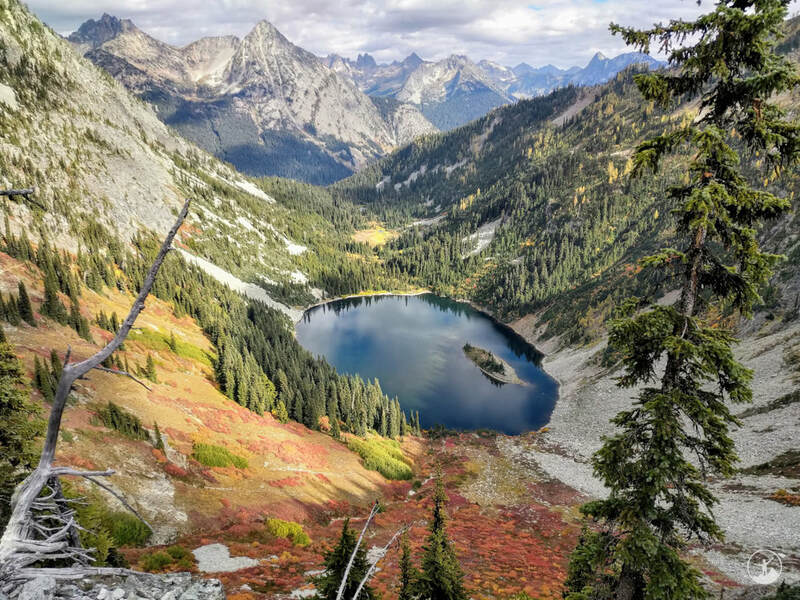 Regarded as one of the gems of the North Cascades for its epical grandeur and beauty, the Maple Pass Loop does not fail to satisfy. Earlier this month, I planned to backpack to the Sahale Glacier Camp, however despite of calling the Marblemount Ranger Station a day prior with regards to the availability of the relevant backcountry permits, heading out at 4:30am the next day, and arriving at the ranger station long before they opened, I was not able to secure a permit and decided to change my destination to Hidden Lake. As it turned out, this was exactly the best place for me to be in order to witness the glorious full Moon rises and gorgeous sunrises and sunsets. 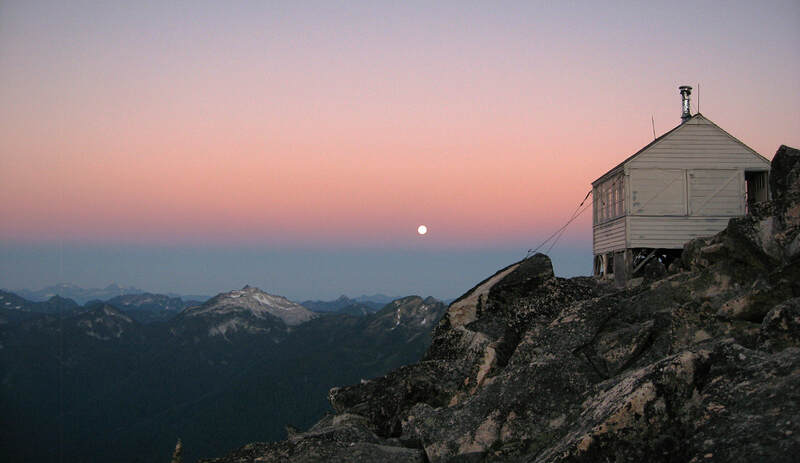 As an additional bonus on the second day, I was lucky enough to stay overnight in the fire lookout itself - a longstanding dream of mine. First of all, I must admit it was anything but easy. It took an elevation gain of over 4600 feet in 4 miles, my digital camera 'going swimming' in Pebble Creek, navigating the Muir snowfield through a whiteout, aching knee joints, sore feet, an altitude sickness related headache followed by mild nausea, and a general feeling of overwhelming joy of being close to the summit of the 'noblest' mountain in the PNW. 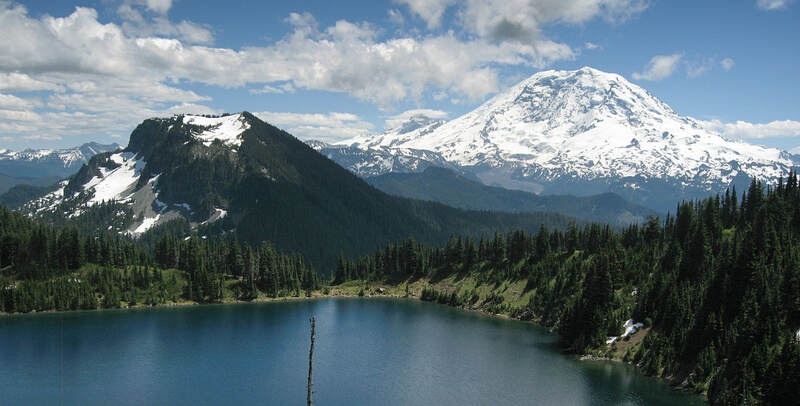 In other words, it took hiking up to Mt Rainier's Camp Muir. The boundless beauty of the PNW keeps me amazed. 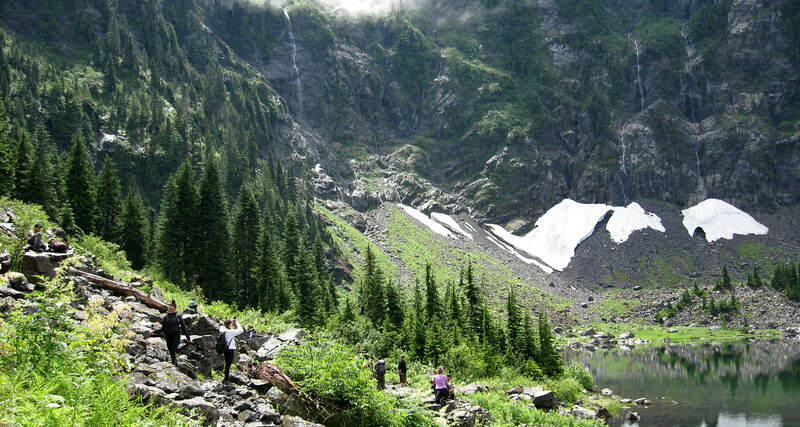 I have been to Mt Rainier's Carbon River Glacier area numerous times, but only recently hiked to Summit Lake (just outside of the park's boundary). 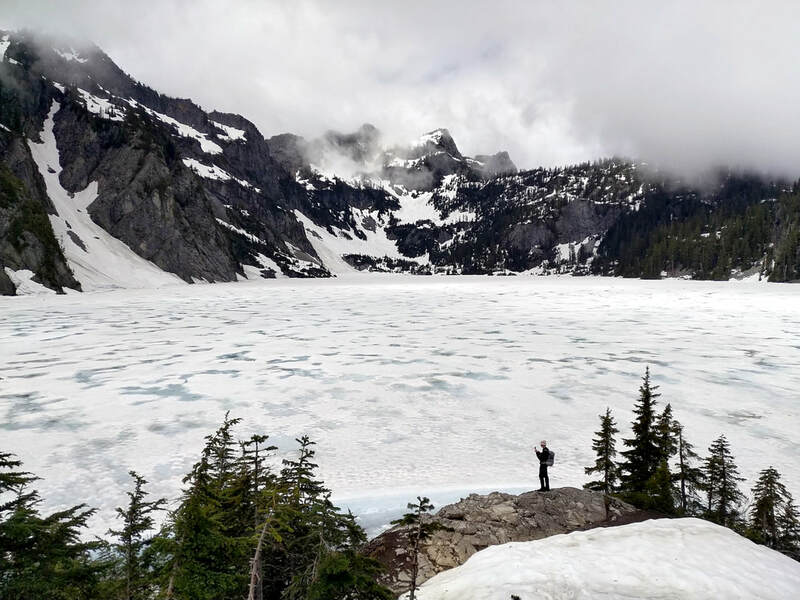 Last Sunday we decided to check out Lake Valhalla, located near the Steven's Pass area and along the PCT (Pacific Crest Trail). The weather did not look all that promising when we left in the morning. It even sprinkled slightly on the way to Steven's Pass, but instead of being caught in the rain, we were hiking in sunshine a great deal of the time. Did you know that there is a natural healing modality called earthing, also referred to as grounding? It involves a simple, but mostly ignored practice of walking on the ground barefoot. Did you know that there is a special kind of bath you can take which effects will last at least 7 days and sometimes up to a month? If not, let me introduce the Japanese practice of shinrin-yoku also referred to as forest bathing.